What is the fastest way to level up in Final Fantasy 14? 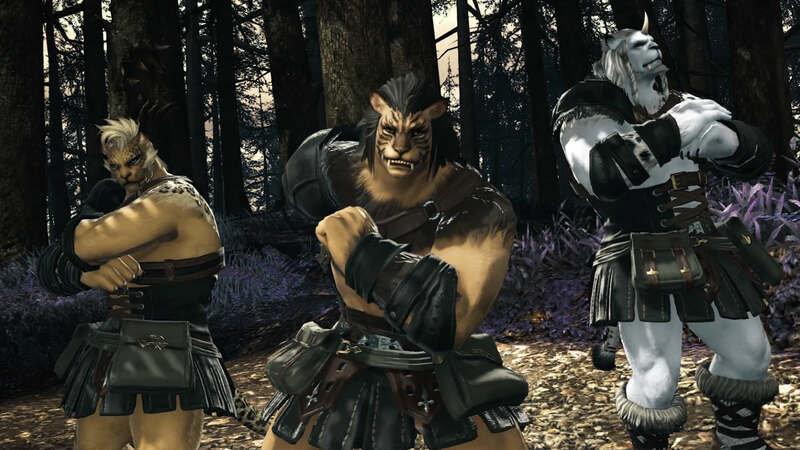 One of the best things about Square Enix’s epic MMO is its range of excellent Jobs. But, who wants a load of weaksauce characters languishing at their lower levels? Before you can luxuriate in your large roster of powerfully-boosted characters, you’re going to need to engage in a bit of FFXIV power leveling. This is one of many reasons you might be considering fast leveling in FF14, but the ways in which you can reach the level cap of 70 – soon to be 80 when the FFXIV Shadowbringers release date swings by – depends on your position. 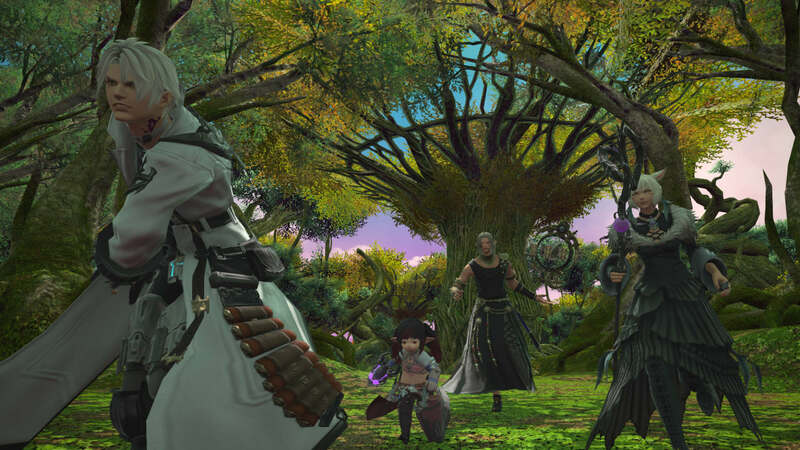 You could be starting the game afresh – in which case you should consult our FFXIV new player guide – or looking to level up an alt to join the big players. Either way, our FFXIV leveling guide will help. You might also be looking for hints when it comes to the special seasonal event, A Nocturne For Heroes. This crossover event with XV gives you the chance to unlock the FFXIV Regalia mount, but you’ve got to have a character leveled to at least 50 to access the mission, ‘The Ultimate Weapon,’ first. If that’s you, or you’re just looking to blast through the mid-game grind, here are our tips on fast leveling in FFXIV. 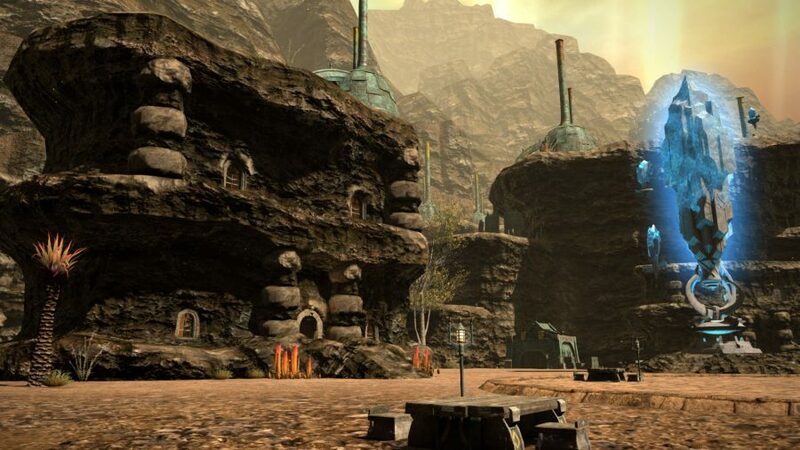 If you’re a new player, core, or ‘Main Scenario’, quests are the way forward: not only are they the best way of introducing you to the narrative that binds the world of Eorzea together, but they also deliver a hefty whack of EXP until they run out at level 30. However, if you’re underleveled for the next quest in the Main Scenario, side quests are also efficient for beginners when it comes to EXP per minute spent. Make sure you don’t neglect your class and job quests, either. You’ll get a new set of class quests every five levels you reach, until you get to level 15. From here, make sure you do a bit of FFXIV power leveling once you’ve chosen your Job. You can only level one of these at a time, but each rewards you with lots of EXP. Just like in real life, you have the best chance of success when you look after yourself. That means getting your eight hours and three square meals a day full of fruit and veg, so to speak. This is the case when it comes to FFXIV fast leveling, too. Food is easy to get hold of, whether it’s been gathered or purchased in shops, and bestows a 3% EXP boost for 30 minutes each time. But, if you’re short on cash, you can buy food in early cities and inns for as little as 7 Gil. After a day of adventure and a hearty meal, chances are you’re going to need your 40 winks. Everybody needs a break now and then, there’s no shame in it – even when you’re doing some FFXIV power leveling. When you log off in a Sanctuary – that’s anywhere in a city such as Gridania or Limsa Lominsa, or near a big blue teleportation crystal – you get rested EXP. This increases EXP gain by 50% and charges up to 1.5 full level bars of your current highest leveled class. You’ll know you’re in a Sanctuary as a small moon icon will appear on your HUD. Whether you’re logging off for a few days or just going AFK to grab yourself some real people food, always try and stop off in these EXP-boosting areas. The Challenge Log is a useful way of increasing the EXP from everyday activities you’ll probably be completing anyway. You can unlock it by completing the level 15 side quest ‘Rising to the Challenge’, which can be found by speaking to I’tolwann in the Limsa Lominsa Upper Decks (X11,Y10). The Challenge Log offers EXP bonuses on completion of numerous activities from defeating small fry mobs to clearing out Dungeons or Trials. If you’ve polished them all off, bear in mind they reset each week. Speaking of Logs, don’t neglect your Hunting one, either. This is essentially just a big ol’ list of enemies to track down and kill. Completing all Hunting Log tasks in each rank gives you loads of EXP, and it’s a good solo activity to pass the time while you’re queuing for a Dungeon or Trial. Dungeons, Trials, and other endgame activities can be daunting for new players in even the best MMOs. There can be an awful lot of pressure on each member of the team not to let the side down, especially if you’re a tank or healer. Final Fantasy XIV’s Guildhests, however, are not only a great way of showing you the late-game ropes: they give you a great big dollop of XP, too. For these reasons, Guildhests are essential to any FFXIV leveling guide, especially for new players. These instanced group quests are intended to teach beginners the basic group mechanics you’ll find in Dungeons and Trials, usually with a small boss fight at the end. If you’re struggling to find other players, use the Duty Finder to acquaint yourself with some dungeon buds. They scale nicely in difficulty, and you can unlock them after completing a Guildleve – repeatable quests for Gil or EXP – and then talking to a Battlewarden. What’s more, there’s an EXP bonus for every new class with which you complete Guildhests. Now you have a better idea of how the endgame works, no FFXIV leveling guide would be complete without the Duty Roulette. This little beauty gives you EXP boosts for completing various mission types, but it’s especially useful when it comes to low level Dungeons and Trials. You can complete each daily from level 16, and completing either mission type at this level effectively guarantees a full level up. The only downside is that there are lengthy queues for DPS players, so find another activity to do while you’re waiting: the grief tanks and healers can suffer from the rest of their team often means there’s a shortage of them. If you’re a DPS and don’t fancy waiting, FATEs are the way to go. FATEs are special boss fights that spawn randomly in the world. They can be tough, so make sure you tackle them with friends or find a squad with the Duty Finder to assist you. They don’t reward as much EXP as Dungeons, Trials, or Guildhests, but they’re quicker to get into. In the case of all these endgame activities, they will turn up in your Challenge Log, too, helping you out even more if you’re aiming to do some FFXIV fast leveling. And there you go, now you have no excuse not to reach the highest echelons of this fantastical massively multiplayer game now you have this FFXIV leveling guide. 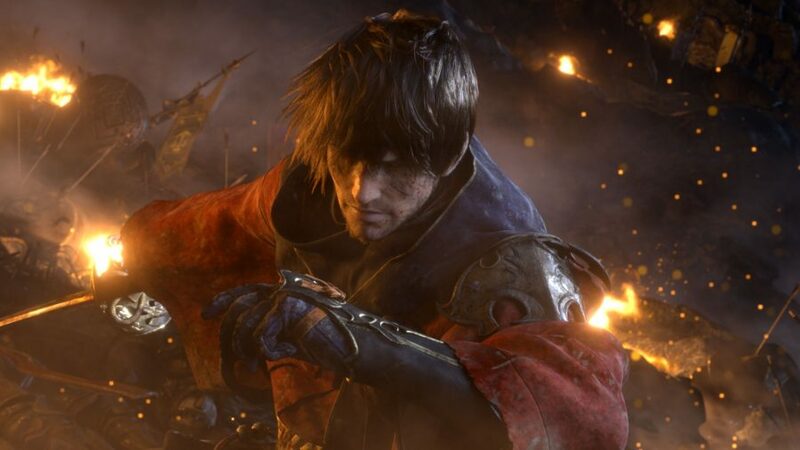 Of course, you’ll want to do even more grinding when the FFXIV max level increases by ten when Shadowbringers arrives – at which point you’ll get to try out the new FFXIV Gunbreaker Job and the YoRHA: Dark Apocalypse raid. From there, we hope you enjoyed your high-octane speed run through the gorgeous world of Eorzea, and that you made some friends on the way.